If your planning a family vacation, or a romantic getaway for two. 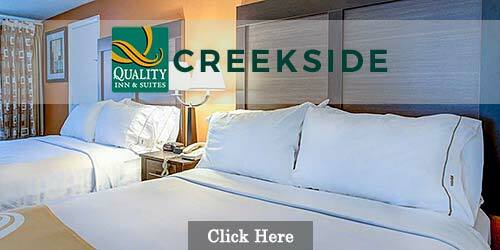 Relax in a clean and comfortable Gatlinburg hotel or motel. 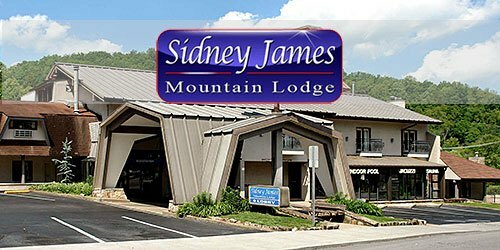 Gatlinburg hotels and motels have all the amenities that you could possibly want or need, from jacuzzis to fireplaces, to fitness centers to complimentary breakfast there is a hotel or a motel that will suit you needs. Whether you decide to stay at the Days Inn, Holiday Inn, Super 8, or one of the Best Westerns, are just a few hotels you can stay and enjoy Gatlinburg and the Great Smoky Mountains. While your stay in Gatlinburg, could be for relaxation or for entertainment. Visit all the other attractions that Gatlinburg has to offer. From the museums, restaurants, speciality shops, and just the beautiful views of the Smoky Mountains. Stop in and see one of the museums, such as Ripley's Believe it or Not, Ripley's Aquarium, Ripley's Mini Golf, Cooter's Place, Guinness World of Records, or the Hollywood Star Cars Museum. While you're visiting the Smokies visit the Space Needle, Ober Gatlinburg Ski Resort, or the Gatlinburg Sky Lift. If Quality Inn Creekside were any closer to the national park, you'd have to sleep in a tent; that's how convenient you'll find our location in the heart of Gatlinburg. You'll enjoy having easy access to the best of two worlds- the beauty and majesty of the Smokies as well as a downtown that's packed with attractions, restaurants, shops and much more. While you're here, take advantage of amenities like our free hot breakfast, free high-speed Internet service, seasonal outdoor pool and a 5,000-square-foot conference center that's set up to accommodate any occasion or group gathering. And our guest rooms are made for vacation and business travelers alike, offering everything from hair dryers and coffee makers to microwave ovens and in-room refrigerators. You'd be hard-pressed to find better vacation or business accommodations than our charming Gatlinburg lodge, conveniently located where downtown meets the national park. We offer a variety of overnight-stay options, from Club Level to Creekside to Courtside rooms, all of which are packed with amenities - mini-fridges, coffee makers, flat-screen TVs, free Wi-Fi and more. Spend your travel days in leisure, relaxing by one of our two outdoor pools or kicking back near our indoor pool with hot tub and sauna. We're just a short drive or a trolley hop away from all the exciting attractions, shops and restaurants of downtown, or if you're in the mood for a more nature-friendly experience, local parks and the national park are just a stone's throw away.